Hugette Clark is a name that I have come across a handful of times; a name used when talking about wealthy eccentric reclusive women. 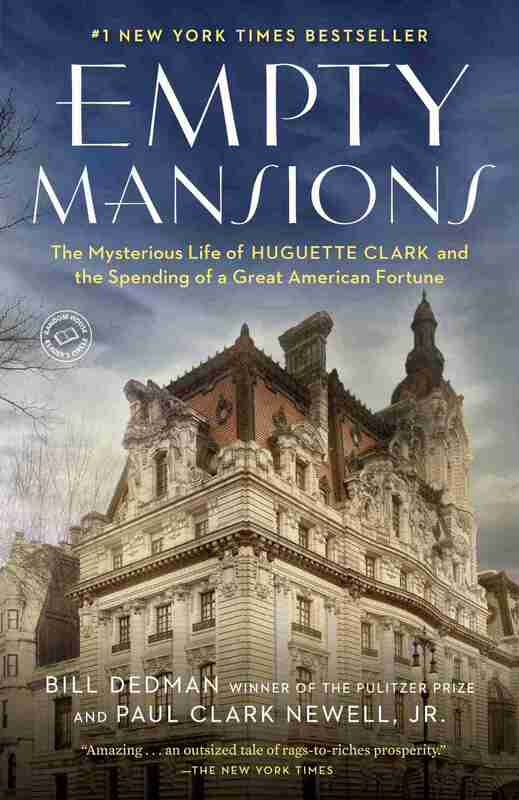 When I saw that this book was about the Gilded Age as well as the Clark family I was intrigued and excited to read it. Unfortunately I had much higher hopes that Dedman and Newell were unable to deliver on. First off Paul Clark Newell is a distant relation of Hugette Clark, and so in this book she is portrayed in a very flattering light. I’m not saying that I think she’s a terrible person. There is no evidence to that, nor is there actually much about her out there. But I do think that the writers of this book are way more than willing to view Hugette as a victim, who has been taken advantage of by the people around her, most notably the hospitals in which she lived out the end of her days. I was really hoping that the book would provide a bit more information about the Gilded Age, the great families living on 5th Avenue in Manhattan and the total displays of wealth that accompanied their lifestyles. There is a bit of this at the beginning of the book. In fact a menu from one of Hugette’s father’s dinner parties is included which I obviously found fascinating (I will be attempting to make something off of this menu in the coming weeks). Still, the last two thirds of the book were all about family history and trying to discern the kind of person Hugette was. In short the book was mediocre for me. Nothing really stood out. I was expecting a grand narrative of New York in the Gilded Age and instead got a pieced together family history. Some of the anecdotes were amusing and there were some interesting facts strewn about, but overall the book just fell flat for me. This entry was posted in Reviews and tagged 5th Avenue, Bill Bedman, Biography, Empty Mansions, Family History, Fortune, Gilded Age, History, Hugette Clark, Manhattan, Money, New York, Non Fiction, Paul Clark Newell, Recluse, Review, Rich, United States, Wealthy on June 30, 2015 by kwils3.